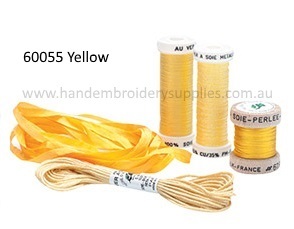 Au Ver á Soie has been spinning and dyeing beautiful silk threads in France for nearly 200 years. 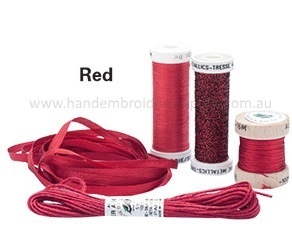 Sample these fine fibres and your needlework will never be the same again. 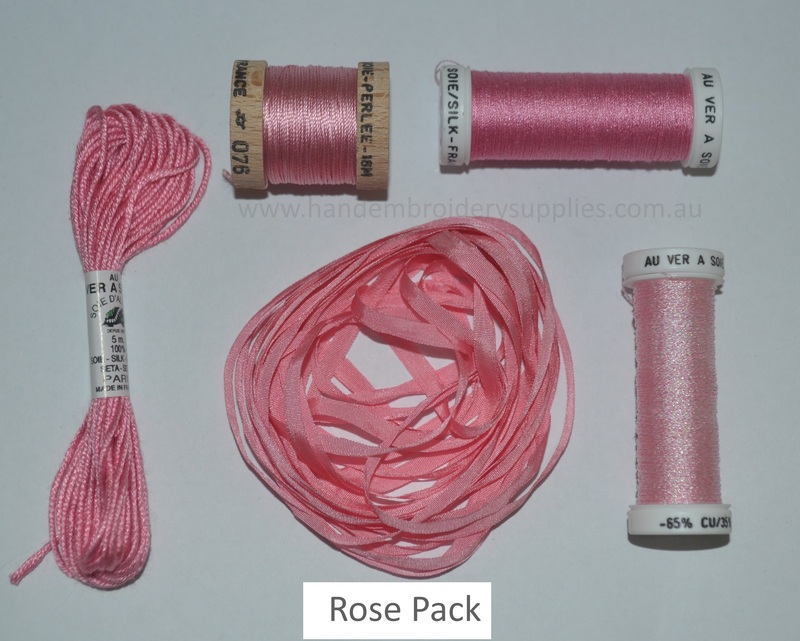 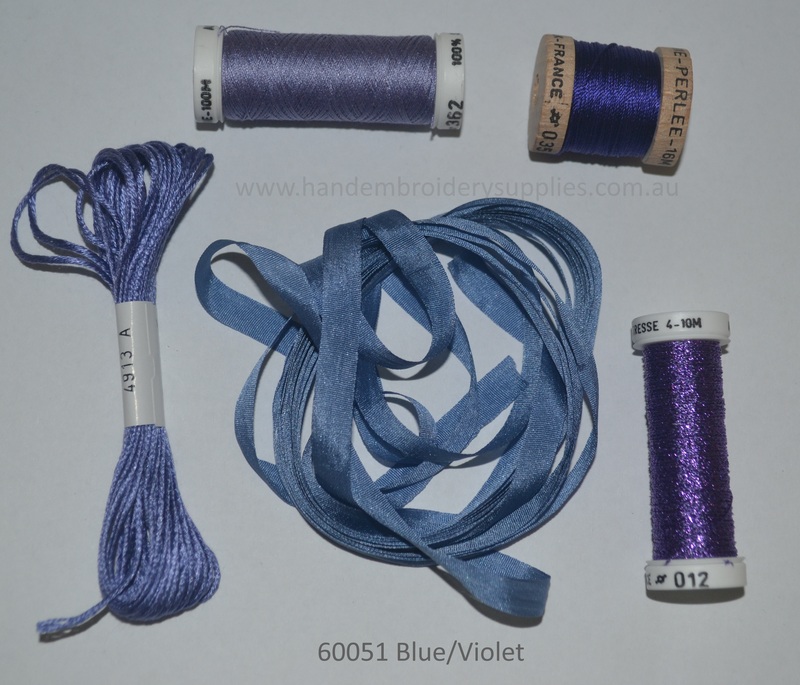 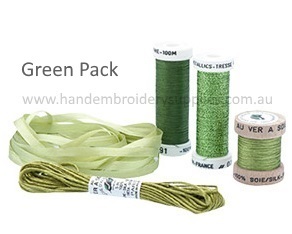 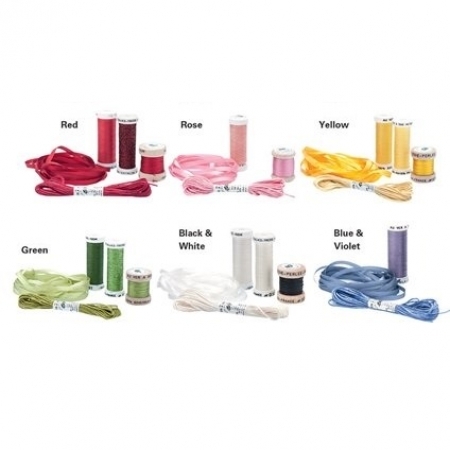 These gorgeous packs are available in 6 colour ways and include five metres of 7-stranded Soie d’Alger loose ply spun silk thread that is easily split, 100 metres of Soie Surfine 2-ply soft spun silk thread with a moderate lustre, 16 metres of Soie Perlée 3-ply twisted filament silk thread, 10 metres of Metallic Tresse soft, and three metres of 4mm pure silk ribbon.